There’s plenty of news lately about the Android Lollipop update arriving for more devices. We’ve already seen this upgrade to Google’s operating system release for numerous Sony Xperia devices. 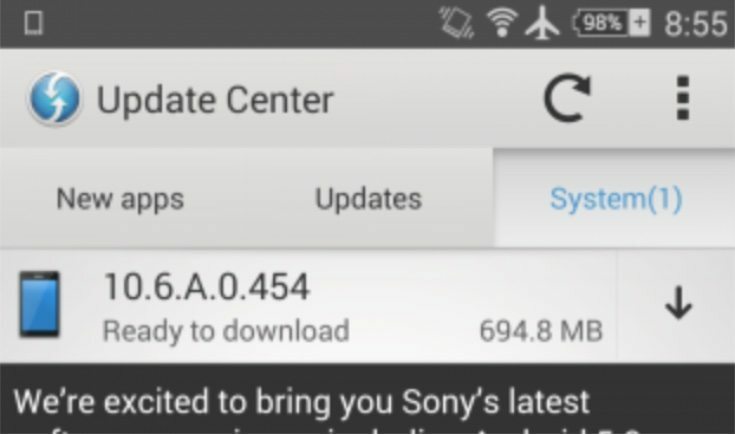 Now the Sony Xperia Z and ZR Lollipop update is here at last. This will be welcome news for the many owners of these smartphones. On May 5th we reported that Sony Philippines had answered a response from a customer about the update for the Sony Xperia Z by saying it would release by the next week. Once we hear about an update scheduled for one region we usually see it roll out for other markets at around the same time, so this was a promising sign. Now Sony is finally making Android 5.0.2 Lollipop available as an OTA (over-the-air) update for both the Sony Xperia Z and Xperia ZR. The updates for both phones are also likely to appear for the Sony PC Companion before too much longer. So far reports are coming in from various regions that the update has gone live. Users from countries such as Bangladesh, Bolivia, Hong Kong and others have reported receiving the update and as we speak the update is likely to be arriving for further markets. This upgrade to the OS offers plenty of improvements and new features to these handsets. Just a few of the benefits are the new Material design look for the user interface, improvements for notifications as well as customizable settings, multi-user profile support, and the option to move apps to an SD card. The update is around 700MB in size with build number 10.6.A.0.454. If you have the Sony Xperia Z or ZR you should ensure that you back up your data before installing the update. You should also make sure you have at least 1.2GB of free space available on your device. The news that Lollipop is finally rolling to these Xperia handsets is a good sign for owners of the Xperia Tablet Z and Xperia ZL, as it’s likely that these devices will also receive the update soon. It’s always interesting to track the progress of OTA updates, so if you have the Sony Xperia Z or Xperia ZR we’d like to hear from you. Have you already received this update, and if so, what region are you in? What do you think about the benefits and improvements that the Lollipop update brings to your device? We enjoy hearing feedback from readers so do send your comments to let us know.